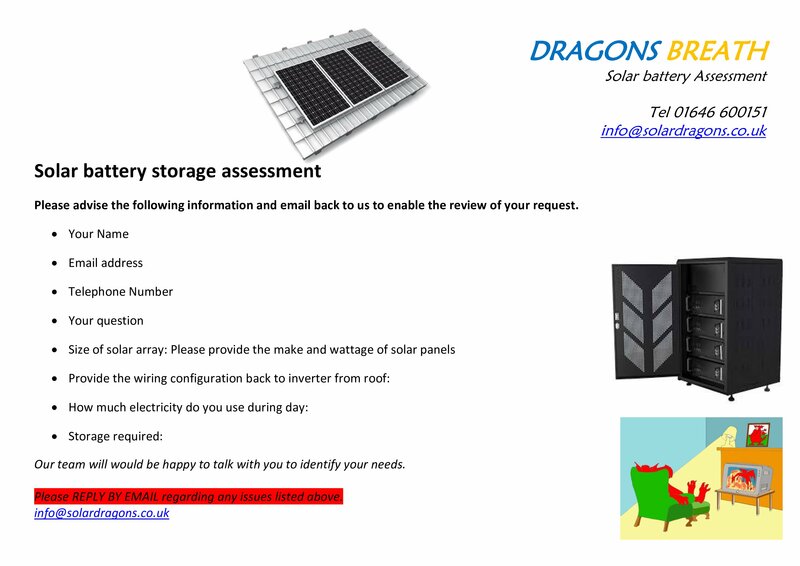 DBS offer a comprehensive range of solar home battery storage products and design services for any location. Solar power storage and battery backup solutions are matched to individual applications around existing or new solar PV installations. 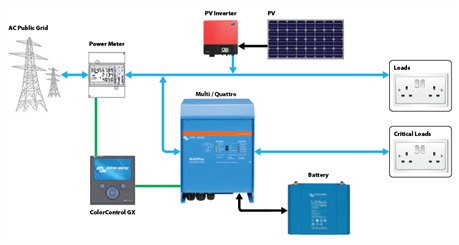 Each solar energy storage system is determined around the household power needs; product parts are selected to match the prerequisite of each property. This will include battery capacity sizes which are available in either modular stackable packs of 2.4kWh segments. Alternatively standard size lithium battery packs of 3kWh, 6.5kWh and 10kWh are available. The majority of home appliances are 230v 50/60hz, therefore each one of our hybrid inverter systems can deliver 230v power to the home grid when needed. Many home owners are asking how they can take advantage of any excess energy generated by PV during the day; ideally this should be stored into a battery bank. The stored energy can then be taped to deliver power around the home during evenings, or when the sun goes down. Technically this solution can be set for self consumption calculations. The solar battery storage system for home uses, have been developed to provide autonomy and some degree of independence. This will help to combat rising costs stacked against energy use. The modern home uses a greater amount of energy than ever before, this is down to the amount of plug in devices we all currently use. By using home battery storage equipment, it is possible to deliver autonomous power to homes, with the ability to store much more of the energy generated by PV. 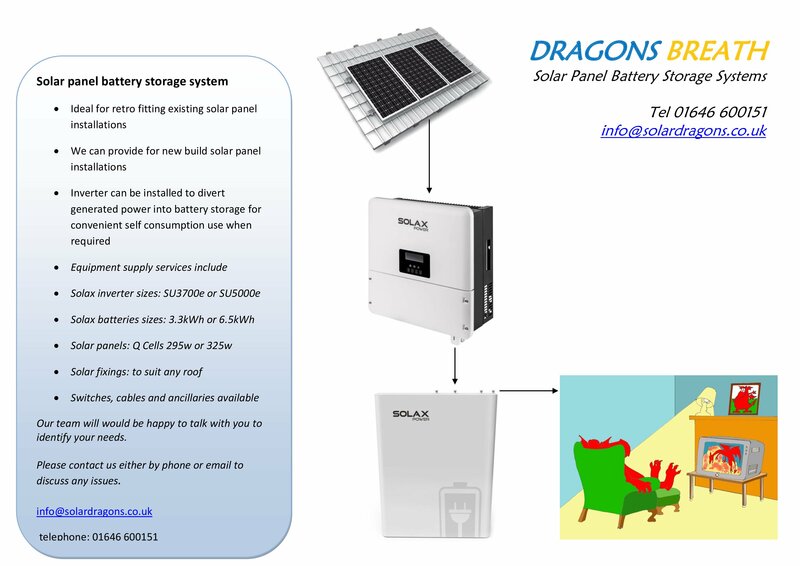 These domestic battery storage systems provide the home user much needed 230v energy to support their needs without any excess solar energy generation being wasted. The highest demand is usually in the evening and first thing in the morning when solar power is not always available. At these times items such as TV, lights, radio, computers etc are taking energy which eventually has to be paid for by everyone. So by investing in a home battery storage system you could go a long way towards being autonomous and combat the need to call on the national grid for the delivery of power at these times. If required we can offer a bolt on system, connecting storage batteries to existing solar panels and the household grid systems. The size of the storage battery is calculated as a percentage of the excess solar energy generated by your panels. 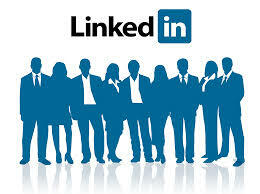 This can then provide the house owner with an adequate battery backup and energy storage system to use when needed.